Making pickles can be a great family tradition that keeps your fridge stocked with delicious, crisp jars of pickles throughout the year. To keep your stored pickle jars as fresh as possible, it’s helpful to know what to look for when monitoring for pickle freshness. Generally, following your pickling instructions exactly ensures your pickles will be fresh and tasty for as long as possible. But sometimes things can go astray, causing your pickles to expire before their time. By understanding what you should be looking for in regard to pickle freshness, you can easily monitor your cans and discard anything that looks suspicious. If you notice pickles changing color or darkening, it can be the result of several issues in your canning process. Minerals found in hard water can change the color of your vegetables. It’s best to use soft water for the canning process. Another common canning mistake is leaving whole spices in your jar of pickles. Whole spices can be used to flavor your pickle brine, but should be placed in a spice bag to prevent discoloration. If you use dill that is too old, it can cause your pickle juice to have a pink tint. Pickles are still safe to eat but remember to use only the freshest ingredients when preserving your cucumbers to prevent pink, discolored juice. If you have cloudy pickle juice, it can indicate you didn’t process your vegetables long enough initially. It’s important that you follow tested recipes and process foods for specific times to keep pickles safe to eat. Cloudy, slimy pickles should be thrown out. Cloudy juice can also be the result of hard water. Hard water can have an excess of minerals that can cause clouding. It’s best to use soft water for pickling. Salt can also make a difference in your pickle quality, causing cloudiness and an odd taste. Salt additives are usually responsible for the cloudy liquid and it’s best to use additive-free canning salts for your next pickle batch. If you notice spotting or faded coloring of your pickles, it can be the result of a lack of brine quality. Spotting on your cucumbers can also occur if your pickles are exposed to too much light when in storage. 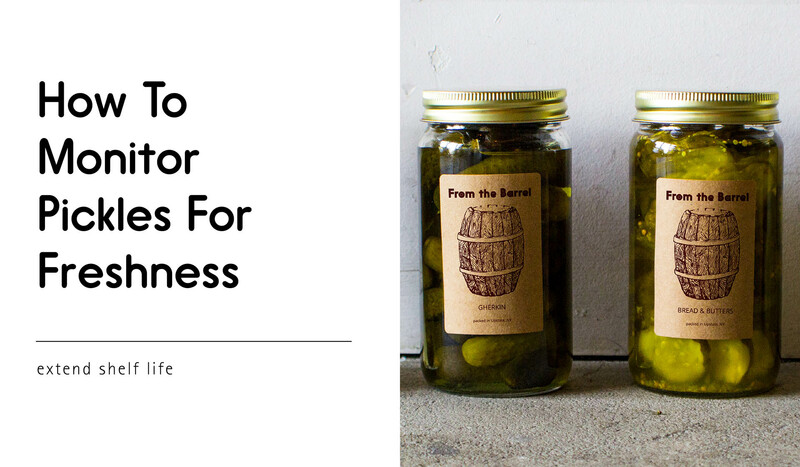 It’s best to keep your pickle jars stored in a cool, dark place to prevent these color changes. There are several reasons your cucumbers can start to shrivel and shrink. Most often, cucumbers start to shrink if you add too much salt or your cucumbers weren’t fresh enough when brined. Ideally, cucumbers should be brined within a day of harvesting to ensure they don’t deteriorate before processing. If your cucumbers have a wax coating over the peel, it can prevent the brine from moving through the peel. Make sure you are selecting fresh, wax-free cucumbers for your pickling needs. Shriveling can also be the result of over-processing your vegetables. It’s vital you follow processing directions exactly during pickle preparation to prevent pickle shrinkage. If, during your first taste test, you notice pickles are very soft, you may not have prepared your brine properly or have enough brine to cover all of your cucumbers. Soft pickles can also be the result of under-processing, which leads to pickle spoiling. This batch of pickles should be thrown out. For future processing, be sure to follow your canning recipe and prepare plenty of brine to accommodate the amount of cucumbers you’re preparing. During the fermentation process, yeast develops and feeds on the acid of the vinegar. This is a normal part of the process. However, the surface scum needs to be removed daily from the brine. Otherwise, the yeast and bacteria can reduce the concentration of your vinegar and spoil your pickle batch. While there are things that can go wrong during the pickling process, the truth is that pickling can be a successful, rewarding endeavor that produces lots of tasty results. Always follow a time-tested recipe precisely as written and use high-quality pickling jars with tight-sealing closures to increase your chances of producing long-lasting, crispy batches of pickles.